Is your diet derailed? Has your eating plan gone off-course? Has your willpower gone rogue? Does your present weight make you wince? Are you afraid to know the actual number? 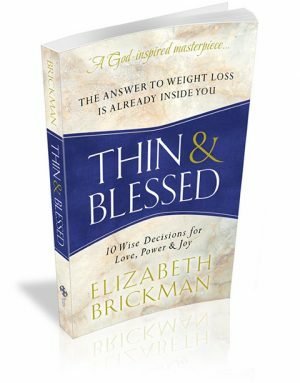 Join me for a 21-Day THIN & BLESSED CHALLENGE starting Monday, May 8, 2017. Let’s show ourselves to be powerful women and men of God who can set things right in our bodies and minds… and have some fun and joy along the way.